Eleocharis Parvula (generic name) is called dwarf hair grass because of its size, appearance, and it can be a beautiful decoration in your fish tank. The rule of thumb of planting water plants in your fish tank is quite intuitive; the shorter plants are placed in the front and the taller ones placed in the back as to not block the beautiful view. The dwarf hair grass will obviously be in the front of your fish tank since it is usually very dense and it offers a lawn-like aspect. You can purchase this type of plant from the local aquarium store or online, but before that, you need some information about this type of plant. The dwarf hair grass requires moderate level of CO2 in the fish tank, thus a CO2 regulation system is required. If you manage to plant it successfully and provide the grass with the requirements it needs, including strong lighting and trimming from time to time, maintenance is easy-going. 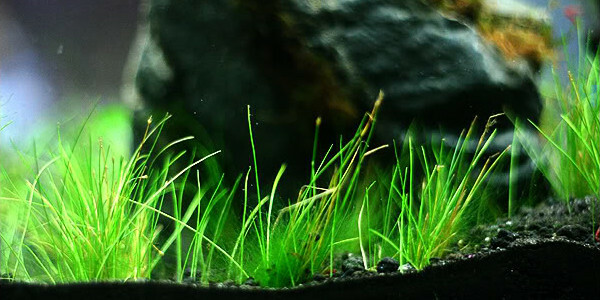 If your aquarium is empty, you can spray the soil with water and plant the dwarf hair grass, also spraying it with water until you gently fill your tank with water. Planting will require stainless steel aquarium tweezers or aquarium tongs; using your fingers is acceptable, but the tweezers are easier and faster. 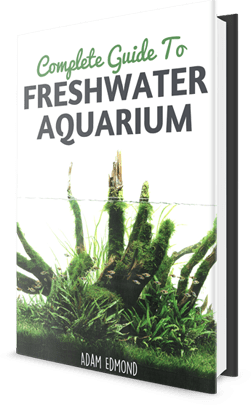 If your aquarium is already set, it doesn’t make a lot of difference, the procedure is quite the same and you don’t have to moisten the soil or plants with a water spray. When you purchase dwarf hair grass it usually comes in a cluster (clump) with many plants wrapped together. This is definitely the case when you buy online from Amazon. Don’t plant the dwarf hair grass in a clump; unwrap the clump and separate the plants so they do not compete with one another when they grow. Some people trim the grass before planting, but the important thing is to plant them with distance between them so they have their space to grow and, with time, the space will be overgrown with dwarf hair grass presenting a green carpet look. In the first week or so, the dwarf grass might look weak, but this is because it needs some time to settle and adjust in the new aquarium. If you have all the requirements: good aquarium soil, strong lighting, and CO2 regulation, your dwarf hair grass will grow spectacularly. 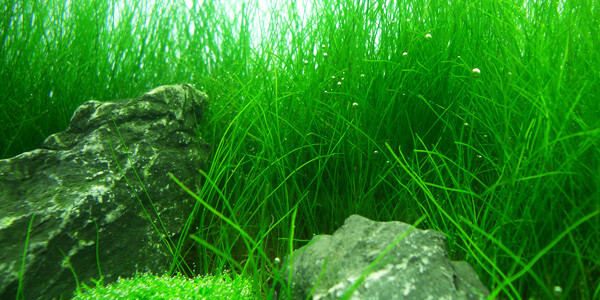 If your underwater “lawn” is dense enough, it can provide hiding for the young offspring of the fish or baby shrimp. They will stay alive longer if they have places to hide beyond the reach of the bigger fish and scavenge for food leftovers to feed. 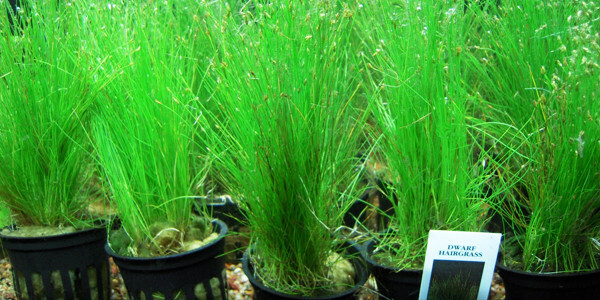 Also, dwarf hair grass can be used for breeding egg-laying fish that eat their eggs during spawning. You can have a separate breeding fish tank planted with dwarf hair grass. Adjust the water parameters for the fish to start spawning and then remove the parents when the mating process is over. When your dwarf hair grass is planted successfully and fills the gaps, then you can enjoy the green grass carpet view of you fish tank. If you think the grass has grown a little higher than intended, you can trim it down and give it a fresh new look. For trimming you will need stainless steel scissors for which there are multiple products on the market. It is always important to remove the trimmed pieces of the grass, as difficult as it may seem, but you don’t want your water to get organic waste from the plant debris. Since the trimmed parts usually float, you can scoop them with a fish net or remove them by siphoning or another method that works for you. Share your experience with DHG with us by commenting below! I grow ours in our fishpond. My hairgrass doesn’t spread like wildfire… it doesnt even spread at all. It has a simple LED light 6500K, 3 watts. Does the shape of the tank affect the growth of the grass? It still looks like how i planted it a year ago but greener. No runners. Absolutely none. Zero.